Danielle Robertson is a Financial Services Representative and Financial Advisor with the firm. Danielle started her career in the financial services industry in May of 2005. 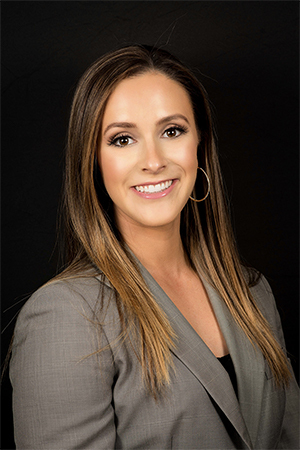 A Western New York native, Danielle attended Clarence High School and received her Bachelor of Science degree in Finance from the State University of New York at Buffalo’s School of Management. She joined the firm in January of 2008. Her focus is on building long term and personal relationships with her clients. She enjoys working with families and businesses in the areas of Long Term Care Insurance, Life Insurance and Retirement Income Planning. Danielle obtained her CLTC (Certified Long Term Care Specialist) designation in 2010 and her CFP® (Certified Financial Planner) mark in 2012. She is dedicated to educating her clients and helping them make financial decisions that allow them to live their definition of success. Danielle is a member of the National Association of Insurance and Financial Advisors and the Financial Planning Association. She is an avid animal lover and currently resides in Clarence, NY with her husband, Rob. In her free time, she enjoys working out, cooking and spending time with friends and family.